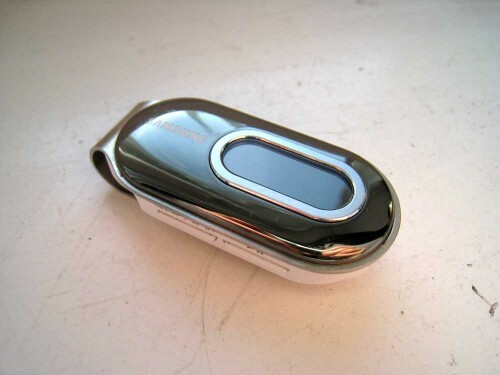 I started wondering how long I’ve actually had my trusty Samsung YP-F1 mp3-player and it turned out I bought it during the summer of 2005. That’s almost seven years ago! The 1 gigabyte player cost me about 175 euros back then. A similar Samsung product now on sale with 2 gigabytes costs 35 euros (of which 12 euros is blank media tax for us Finns!). As a keen listener of music, it obviously has been a valuable piece of electronics for me while on the move. Despite its age, battery life is still good enough to use even today. Interestingly enough, this device can even display Japanese characters, which is nice bonus as a learner of the Japanese language. Thumbs up electronic devices this old that keep on going and are still relevant! Time will tell will it last even ten years. Nearly seven years old and still a valuable partner!